Alone in an Alaskan winter, isolated and with no support, Karissa Becker was raising her two young children, while her husband, a US Army Airborne Infantryman, was deployed for the third time to fight for our freedom. The tough part about putting yourself out there on Instagram or on any platform means that sometimes you face harsh judgement. 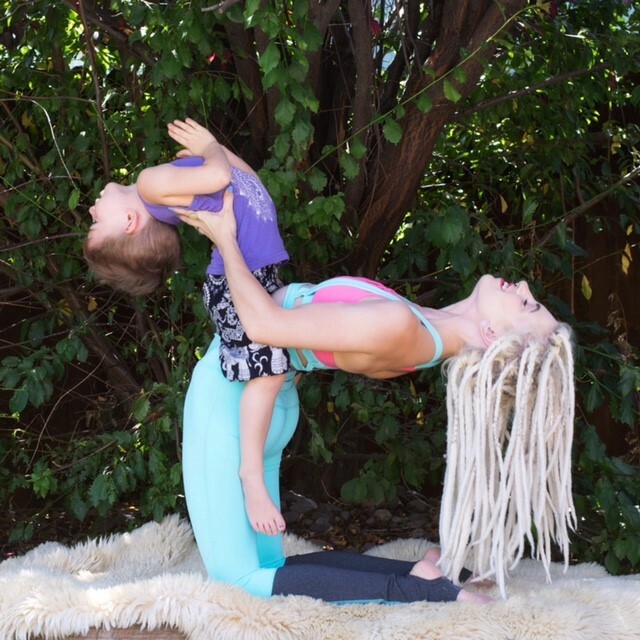 Karissa is not alone in that experience, but those judgements have strengthened her resolve to build a strong community of yogis, mamas and healthy living women, around her. She says that, “when you are raising children, everyone has an opinion about what is the right and wrong way. That has brought me a lot of conflict when out in public. 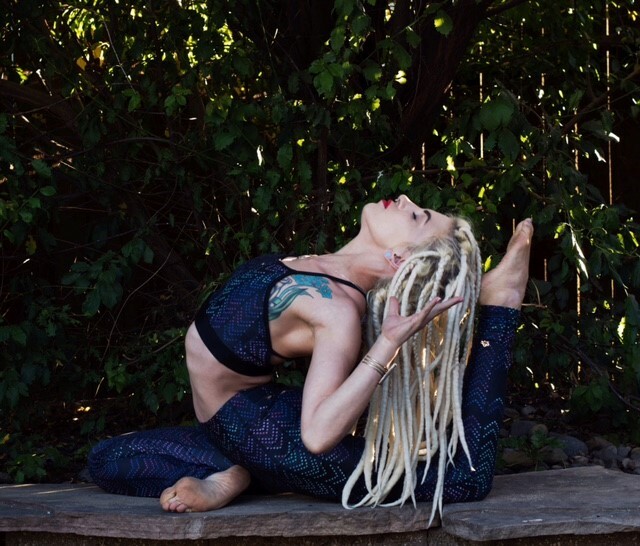 And, in the midst of those greatest challenges, mostly psychological, and emotional distress, I have found my greatest inspiration in sticking to my inner truth and guidance.” And she remains beautiful inside and out, with her golden dreadlocks and shining soul. 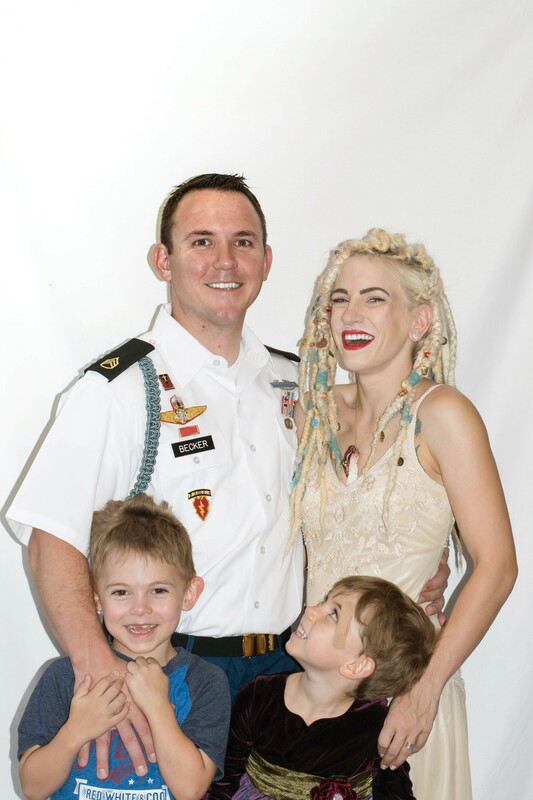 Karissa Becker, her military man and their little oms. It looks like we share the same mission. Here we go little oms! Karissa absolutely is Lorraine! And so is her husband. Thanks for your comment. Love you Karissa? you truly are beautiful on the Isnide and out? I am so thankful for your support when my Pappaw passed. I have never met Karissa in person but she was the only one there for me on a lot of lonely sad days. I’m so thankful for her and her family! She has also inspired me to do yoga and I love the practice! Thank you so much to her Husband who has given so much time away from his family to fight for our country. God Bless you all Becker family ?and keep you safe and give you Joy through Him.